Pests and insect infestations can be a nightmare for homeowners in Perth. It can dramatically alter the quality of your lifestyle and even cause damage to your home or property. Termites, for instance, will eat away at the wood and could impact the structural integrity of the property. If you have an insect infestation, you will also experience a drop in the value of your home. Let’s face it, no one wants to buy a property that is infested with any type of insects be it, termites, roaches, ants or even fleas. Unfortunately, insect infestations are incredibly common and you may need a pest control Perth expert. 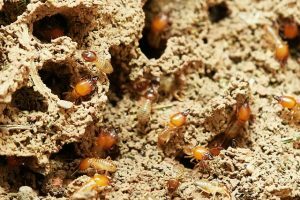 A recent report has suggested that as many as 650,000 homes in Australia could have an issue with termites. The damage the little insect causes costs the country over one billion every year. If you’re worried about an insect infestation in your home, it’s important to recognize the signs that there is an issue and understand the steps you need to take to remove or eliminate it. Each insect infestation is different so it’s important you know each one to make sure that you can protect your property. Let’s start with one of the most difficult infestations to handle. The bed bugs Perth residents hate have very clear signs. If you think you have bed bugs, you might be being bitten at night. The bites of bed bugs cause very large red spots. They can be swollen or they might look more like a rash. You could have a couple of bites or you might have bites all over one part of your body. It tends to depend on how great the infestation is. Of course, bites, when you wake up in the morning, can be due to a range of different insects. That’s why you’ll want to overturn your mattress and look at your sheets or pillowcases. There will be little blood stains where the bed bugs have been feeding. You might also notice brown faecal matter and there may be an unpleasant smell caused by the bed bug’s secretion glands. It’s unlikely that you’ll see the bed bugs yourself unless you wake up in the night and find one crawling over you. Fully grown bed bugs are flat and are roughly as wide as a credit card. Though after feeding, their bodies do swell. They will hide in any crack or crevice. They can crawl into tiny spaces and may be inside your mattress or bed springs. You will have to check very thoroughly. While they may start in your mattress they will eventually move to more cracks and crevices in the room and around the home, often into unreachable areas. An infestation can get out of hand very quickly because each female may lay a hundred eggs in their lifetime, each being as big as a speck of dust. These tiny little insects can be fully developed in a month. The bed bugs Perth homes can become infested with are not dangerous and are not a sign your home is unclean, but they are annoying. Treating them is also difficult because you have to get every single last one to fix the infestation. If you notice the signs of bed bugs early you might be able to deal with them before they spread to other areas. You must start bed bug treatment as quickly as possible. You need to start by cleaning anything that can be put in the washing machine on the hottest setting. Anything that can’t be washed like stuffed toys, put in the dryer for twenty minutes. Scrub the bed with a brush and then vacuum it. Once you have done this, you should seal the mattress and the bed springs in a tight, zipper cover. Keep it sealed for a year to make sure that the bugs are dead. If this doesn’t work you may need professional bed bug treatment. Different termites leave different signs of an infestation. You should make sure you are looking out for termite shelter tubes. The brown tubes are used for protection and can typically be seen along walls You may also find that termites leave their dropping in large piles around your home. This is a clear sign of an infestation. Some termites also protect themselves by living inside a tree near the property. Difficult to detect, the only sign you need termite pest control, in this case, would be large clumps of mud by the tree. Physical signs and effects of termites may include sagging wood and the sound of tapping. Termites tap against the wood to signal to the rest of their colony and it can be loud enough for people to hear. If you think you need termite pest control, there are a few steps you can take. Termite treatment Perth homes need varies significantly. There are chemical options but these often require experts. There are also DIY solutions. For instance, if you think a piece of furniture is infested, move it out into the sun and the termites will die. Do you know where the termites are entering? Seal up any vents are cracks to prevent an entry point. Another termite treatment Perth residents can try would be the wet cardboard trap. If you have a cardboard box in your home hose it down and leave it by the termite mound. Once they come out to feast move the box and burn it. Removing mulch from around the home can also be enough to stop termites from feeding. Termites are not dangerous but as already noted, they can cause very expensive damage. Cockroaches are often considered to be one of the worst insect infestations. Interestingly though, they are actually mostly harmless. While some cockroaches will bite, this is quite rare and is often one of the first signs of a heavy infestation. But what are some of the other signs that you have a roach infestation? Contrary to popular belief roaches will be difficult to spot around your home since they are nocturnal. But there are signs. If they don’t have water, they will leave droppings that are brown or black and about two millimetres wide. If they do have water, they will leave brown smears along flat surfaces. If you need roaches pest control, you will also notice skins and these can usually be found close to where they are hiding. Cockroaches can hide anywhere that is damp and dark. As such, you should be checking in dark areas of kitchen cabinets, drains, around the back of the bathroom fixtures and the basement or attic. Highly adaptable, roaches can be quite difficult to find because they can hide almost anywhere and eat virtually anything. Some roaches can survive in extremely inhospitable environments adapting quickly to their surroundings. As you might have guessed, roaches are difficult to kill but there are ways to get rid of them. Keeping your home cool is job number one if you don’t want to see a roach fly. You need to make sure you are cleaning your home regularly because remember they will eat absolutely anything. Unlike other insects, a heavy roach infestation can be a sign that your home is not clean. 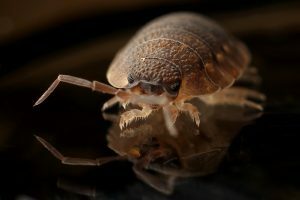 For roaches pest control in Perth, you need to make sure that you are sealing up the cracks and crevices in your home. If you don’t do this, then roaches have a way in. You also need to fix in leaks because roaches love damp areas and are far more common in this type of environment. The good news about bees and wasps is that they are easy to spot. 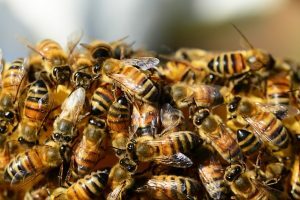 If you need bee removal in Perth for instance, you’ll notice a lot of them buzzing around the outside and of course inside your home. Beehives and wasp nests are typically found in the attic where the insects have managed to fly in through vents. You’ll probably notice the sound of the bees first rather than actually see them, particularly if you hardly ever venture into your attic. Bees are not particularly dangerous and most will only hurt you if you disturb their nest. Unfortunately, if you have a nest or hive in your home, that’s exactly what you’ll need to do. Wasp nests and beehives must be sprayed with pesticides before removing them. You can use any pesticides available form the store for this type of pest removal Perth residents need, but make sure you wear bulky, thick, protective clothing. Once you are certain the bees are wasps are dead, you can remove the hive as quickly as possible. If you have an infestation in walls you may notice small circular holes in the wood. This type of infestation will require a pest control Perth professional. As you can see then, there is a range of pests and insect issues that you might have in your Perth home. But, with the right method, you can often remove these, even without consulting an expert or a professional exterminator.